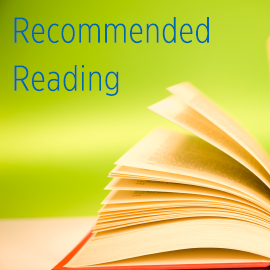 The following list of non-physio books is listed in no specific order. While there are other books that I could easily recommend, I believe you’ll find these reads eye-opening, challenging, and invigorating. Something else I really enjoyed about these books: all of them are distillations of lifetimes of experiences that leave you with practical take-aways and actionable ideas. Antifragile by N.N. Taleb - This has been one of the most personally influential books I’ve read. It is the author’s (self-admitted) central work. This compendium is a witty, in-depth, and personal exploration of the concepts of randomness, highly improbable events and their impacts, and how things gain from disorder. Its applications are universal, abrasive, and practical. Taleb draws from his own personal and professional experiences, as well as lessons he distilled from past histories. Read this book like you drink your Scotch - one sip at a time. The Education of a Value Investor by Guy Spier - This valuable read, just under 200 pages, is pregnant with well-earned knowledge and experience that transformed a once power-hungry, money-driven, Wall Streeter into a happier, satisfied, and wiser human being. The ideas and experiences he expounds on (compounding goodwill, inner versus outer scorecard, lunch with Warren Buffett, etc.) are simultaneously simple and profound. John C Maxwell once said “It’s said that a wise person learns from his mistakes. A wiser one learns from others’ mistakes. But the wisest person of all learns from others’s successes.” Do yourself a favor and learn from Guy’s mistakes and successes. Zero to One by Peter Thiel - Peter Thiel was involved in the founding, funding, and growth of a variety of companies. You might have heard of a few of them: PayPal, Facebook, LinkedIn. The book grew from a course about startups that he taught at Stanford in 2012. From the back cover: “The act of creation is singular, as is the moment of creation, and the result is something fresh and strange. This book is about how to get there.” It’s a challenging and abrasive read that’ll make you think more deeply on how to create (more) value in the world. The Most Important Thing by Howard Marks - This book is a compilation of memo’s, lessons, and philosophies that guided Howard Marks, co-founder and chairman of Oaktree Capital Management. While this book is geared toward stock and bond investors, there are a number of valuable lessons anyone can draw from its pages. A word to the wise: you can find all of his memo’s online. Here are 2 of my favorite: Dare to be Great, Dare to be Great II. You’ll wish you’d read it earlier, but it’s never too late.